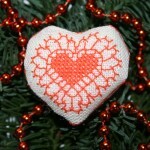 Lace Heart made with cross stitches and back stitches. 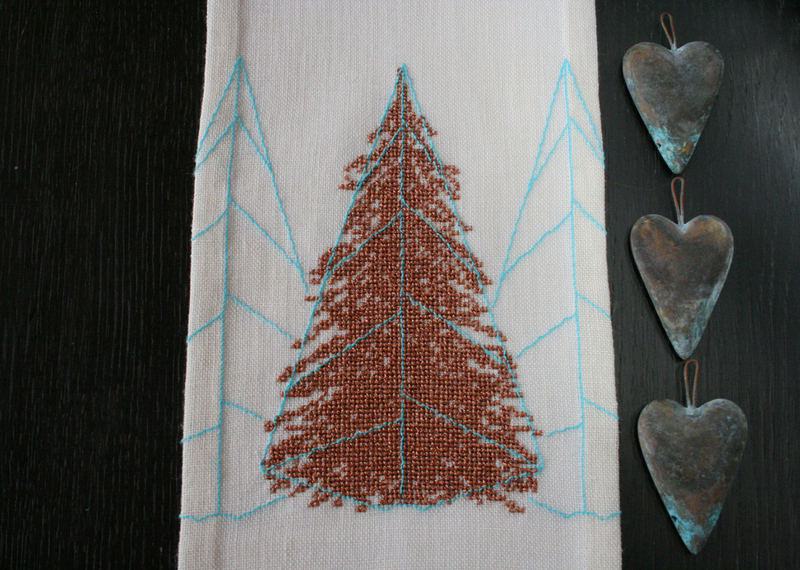 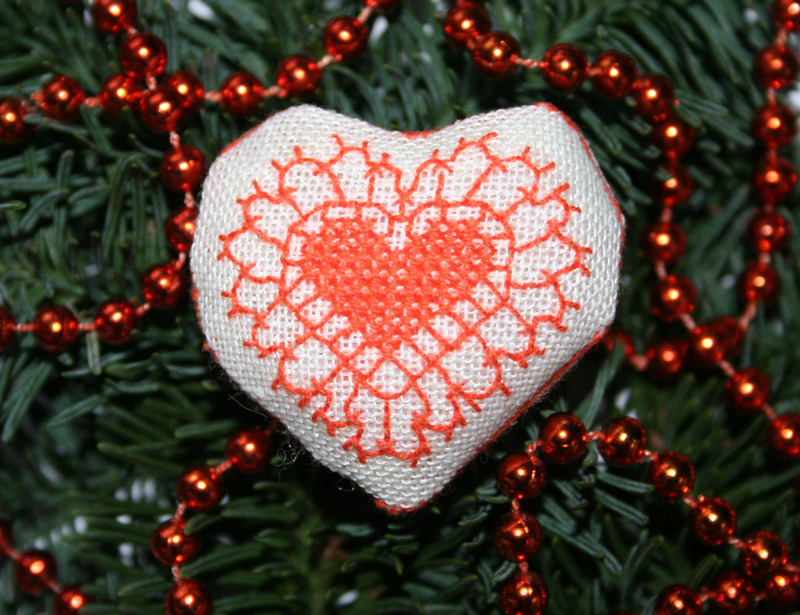 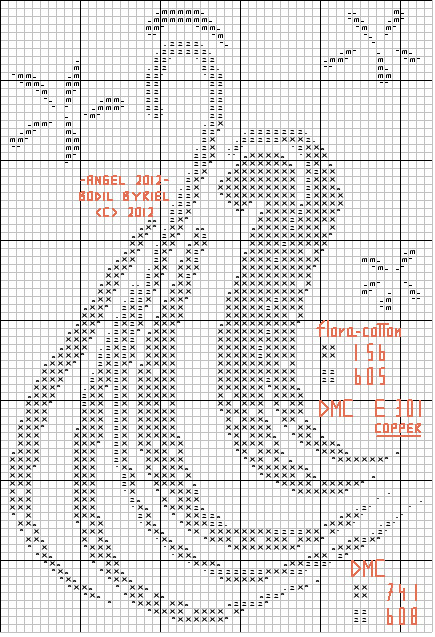 My angel pattern for this year is made with orange and copper threads. 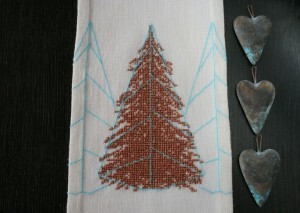 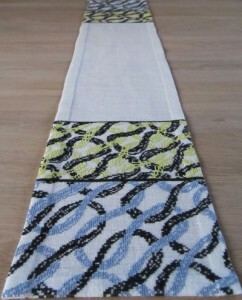 As you can see on the photo, I’ve placed some of the angels close to the edge of the tablecloth (linen, 12 threads pr. 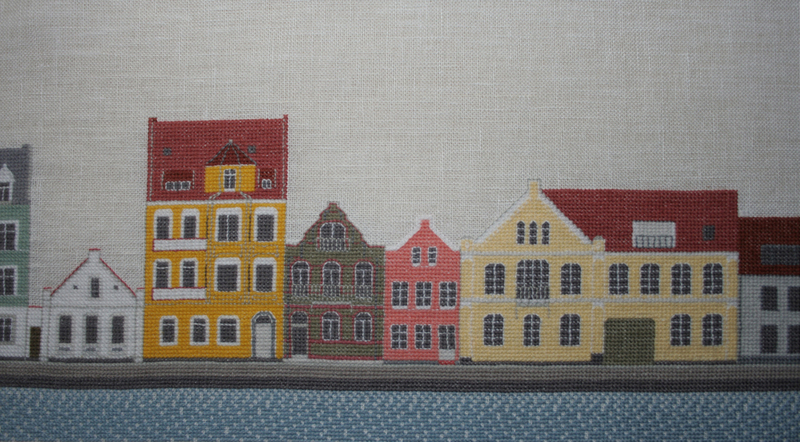 cm., size about 47 x 47 cm.). 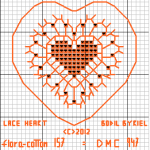 m = DMC E301 (copper thread). 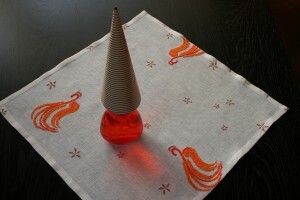 I made this tablecloth of a Mexian piñata for my daughter Mette. 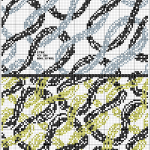 The pattern is approx. 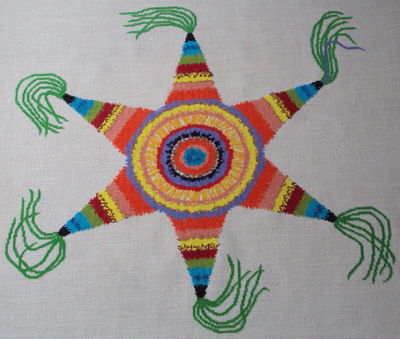 57 x 57 cm. 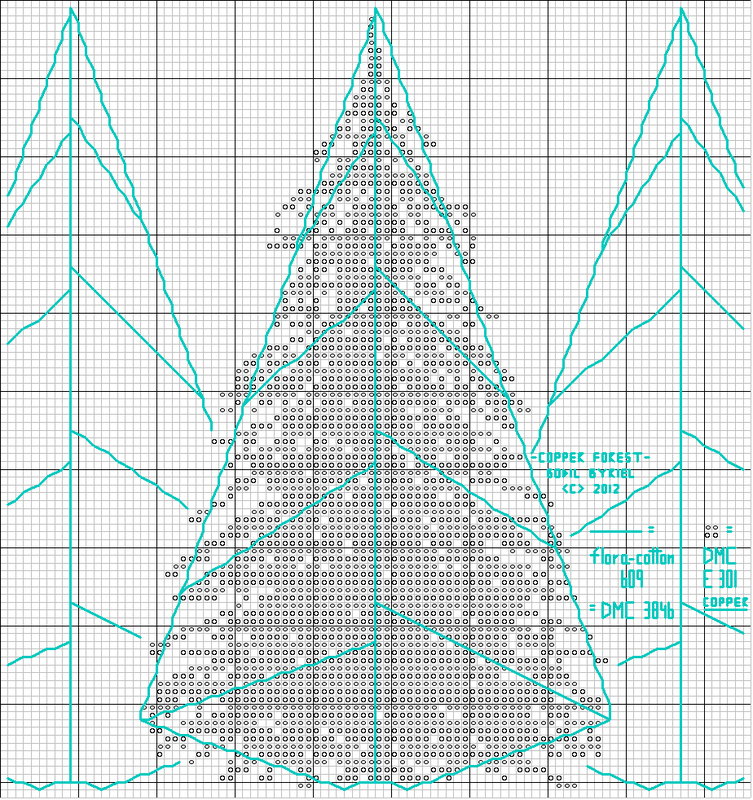 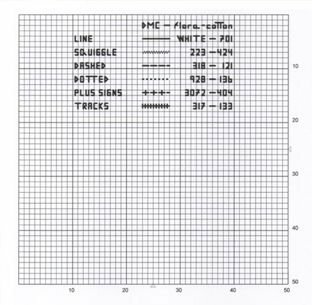 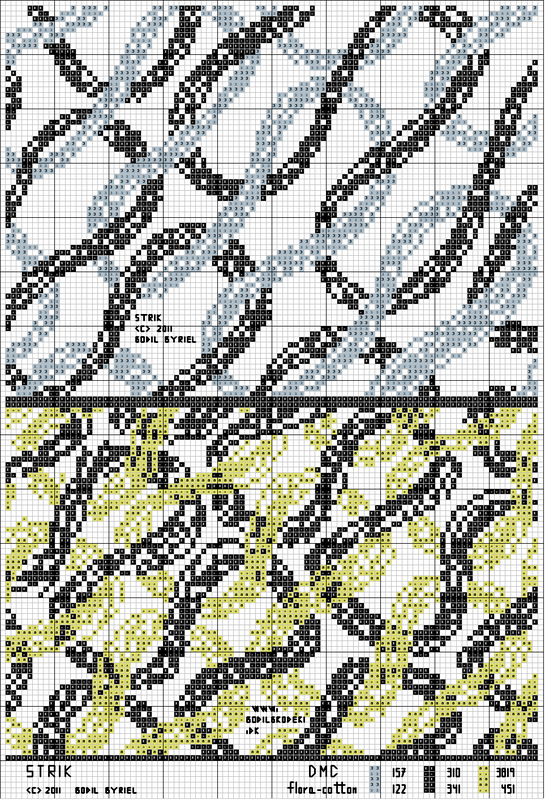 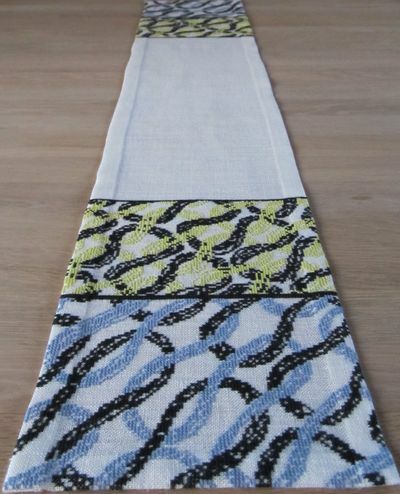 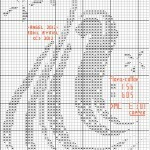 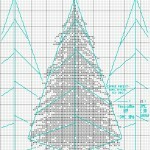 I converted the knitting technique to a cross stitch pattern. 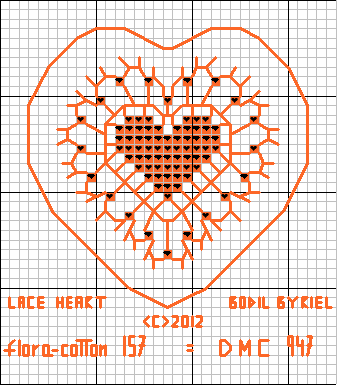 It took some time, but it was fun to do. 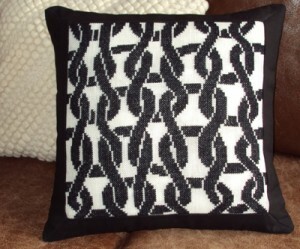 It would have been so much faster to just knit the pillow!